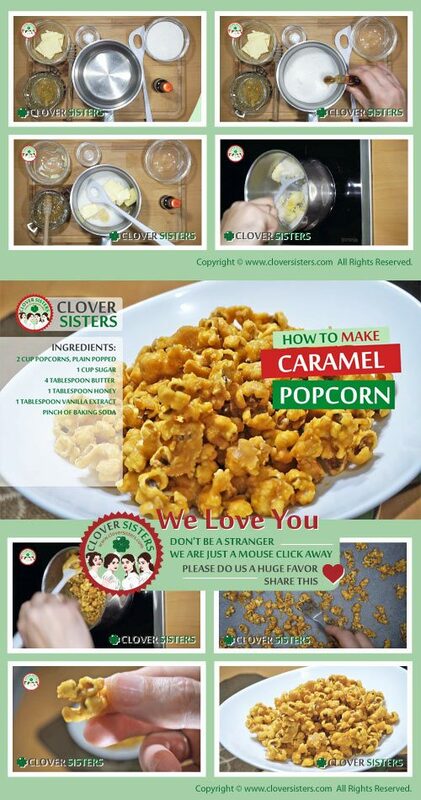 Sweet popcorn, crunchy, seducing, perfect for snacking and easy to make. 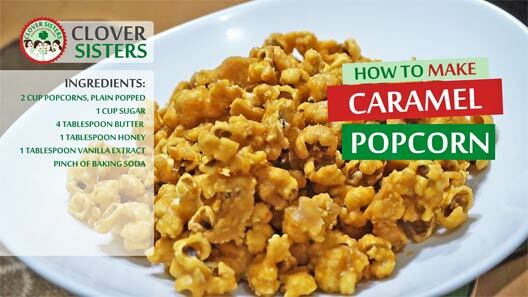 Make your own caramel popcorn for your movie pleasure. Mix together the sugar, vanilla extract, butter, baking powder and honey. Melt this mixture. Spread over the popcorn and stir to coat well. Spread over the baking paper and let sit for a while.